The Google I/O developers conference will be underway from May 18. What to expect from Google this year? Let us go through the most expected announcements in this year’s I/O event.It is again that time of the year when the biggest players in the technology world plan their strategies for the next year. Apple comes up with its new ideas for the year in June while Google lets you get a glimpse into the future of its innovations in May. Google is expected to come with announcements of many newer developments. Right from Android N to new VR, and Project Tango to auto-driven cars – we are most likely in for a treat. A Google I/O event would be nothing without an announcement of the next iteration of the operating system. 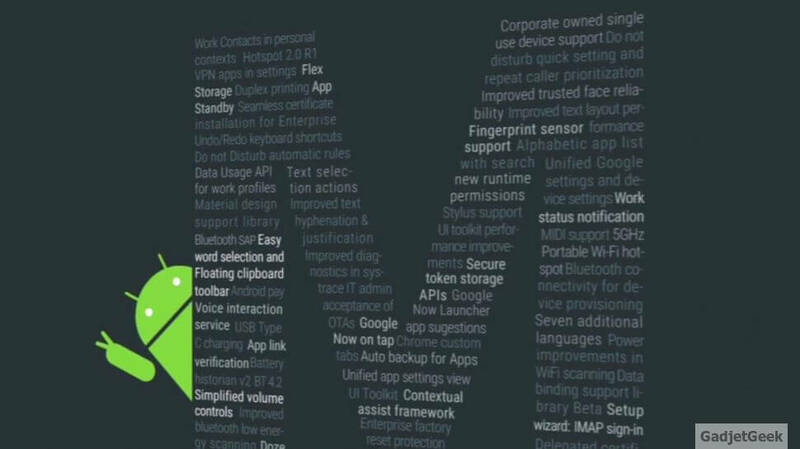 The new Android update – the Android N has already made an appearance through the preview. The preview has been quite an extensive one unlike in the past. Google has let us know much about the new update. Android N ( supposedly Nutella) has already received an update even before a formal release. Three more previews are already planned before the final stable release. So, that definitely means Google will make some specific announcements with respect to the update. We can expect some major announcements regarding Android Wear and Android TV. Android TV has been around for some time now, but the functionality remains almost similar to your DTH service. Google has huge plans set up for Android Wear, but the possibilities are quite scarce as of now. Project Tango is actually the Augmented Reality Technology being put forth by Google for quite some time now. Google has roped in Lenovo for the hardware part. We can expect some information coming from Google on the project. A few demos are likely along with the announcement of pricing. Lenovo has planned the launch of its Project Tango phone in June at a special event and we may see some information on the spec sheet, or maybe, hopefully – a full blown launch. Though the official launch has been slated for the June 9 Lenovo TechWorld event, we would expect some sessions on what is new with the project and a few demonstrations on the hardware. Augmented reality gaming seems to be a future word for the Project Tango. It would be worthwhile to note that Google has formed a completely new division entirely concentrating on Virtual Reality. Moving ahead from the quirky Cardboard, Google may be forced to launch, or at least announce a high-end Virtual Reality headset. We would expect a new Android VR that is in tune with the competing products like Oculus Rift. There have been enough rumours to indicate the possibility of such an announcement at Google I/O 2016. However, we are not sure whether such a VR Headset will actually be available in the physical form, or will it just be the virtual world. Google I/O 2016 is likely to bring up something straight from a science fiction movie into the real world. The Self-Driving Cars have always been a dream project for Google. It may be worth remembering the announcement made during Google I/O 2015 that the self-driven cars will be rolled out in 2016. Tesla has already released its AutoPilot software. Google I/O 2016 could be a better platform to showcase the new technology. 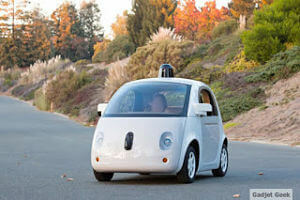 Google has been testing its self-driving cars since long. we may see the launch of a demo vehicle at this year’s Google I/O. Fiat Chrysler and Google have signed a deal for manufacturing Pacifica branded minivans that are equipped with self-driving technology. This year’s I/O may also see some new partnerships or a pilot project being announced. There have been rumours that have been quite long standing. The Chrome OS and Android are likely to be one unit. It has long been rumoured that Chrome OS will soon merge with Android. Google seems to have plans to make Android a universal operating system. It has already been running on TVs, phones, tabs and cars. The future will be brighter with Android running your laptops and desktops. This will ensure in increasing the Android user base by manyfold. This, in fact, would be a great news for app developers. They would not need to write separate apps for separate devices. The apps written once will work across all devices with just slight modifications. The merger has been under discussion for the last couple of years. Google I/O 2016 is likely to showcase the developments in this direction. The new incarnation of Google Glass has been named Google Aura.The plan failed miserably when it was launched for the first time. Not to get disheartened with the failure, Google has now bigger plans in place for the technology. The Project Aura technology has been planned for enterprise release instead of consumer-centric approach. The new Project Aura – also known as Google Glass 2.0 – is likely to focus on the manufacturing industries. The new design of the Google Glass is slightly revamped. The enterprise focused approach may be showcased in the I/O event. There are no exact words about the exact final form of the Project Aura as of now. Let us wait for the final outcome. Android Auto is a totally new concept coming from Google. We just hope to see some solid announcements this year with reference to Android Auto. As per the current schedule of the Google I/O is concerned, the rumours suggest of one session planned for the project Android Auto. We may not hear something extraordinarily new. But, there are reports to suggest the entry of Android Auto into the mainstream. The announcement of Hyundai Elantra could be a good example. We just hope to see some longstanding announcements in terms of getting it to the centre stage. Well, that was a fairly good list of the possible announcements likely at Google I/O 2016.Apart from the ones stated above we may some announcements coming up about the Project Ara. The modular smartphones project has received a boost with an organisation restructure. With just a couple of days remaining for the launch of the annual event, it will not be far away to get to know of the newer announcements and launches. Apart from the likely announcements featured above, we would expect some unique announcements coming up at the last minute. What else would you want to see at the Google I/O? Share your opinions with us. Great! Looks like Google is coming up with a whole new things to work on and build up with the latest trends. Eagerly waiting for the Google Home too.